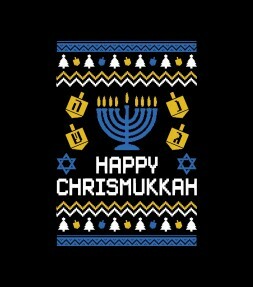 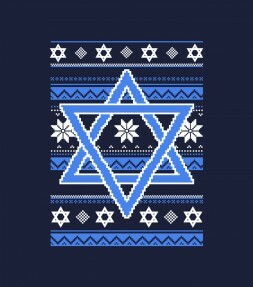 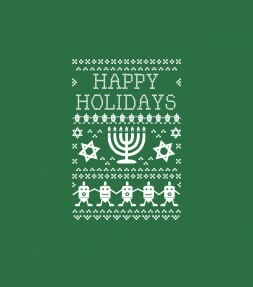 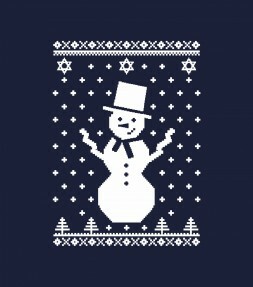 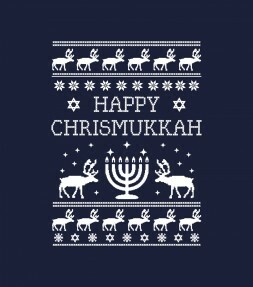 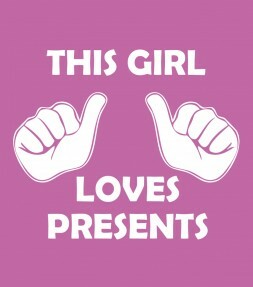 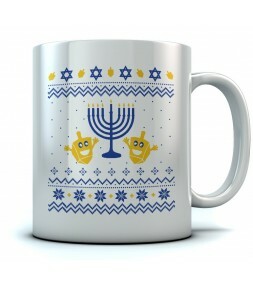 We have lots of Jewish holiday shirts, Jewish t-shirts and "ugly" holiday designs that are fun to wear and great to give as Israel gifts for celebrating all of the Jewish holidays - the whole year round! 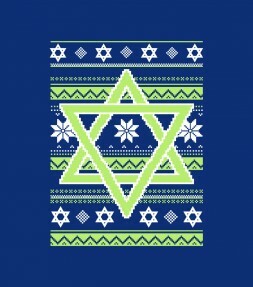 Featuring an icon of the "Four Species" on top that Jews wave during the Sukkot holiday, this Jewish shirt is bound to be a popular design with the members of the tribe! 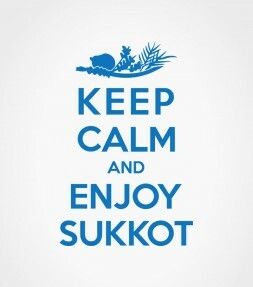 Get into the holiday spirit with this fun Sukkot holiday design! 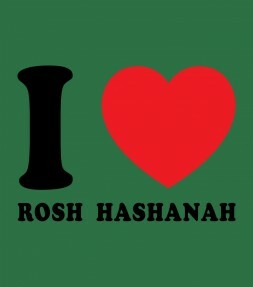 Our Rosh Hashana print with a big red heart will be fun design to wear this holiday as well as all year round! 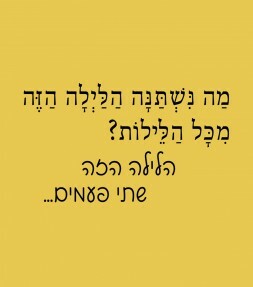 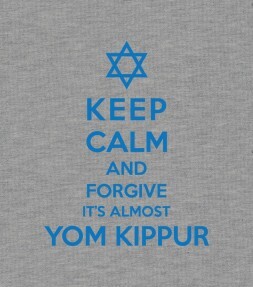 This shirt design will definitely get you into the spirit of forgiveness as you get into the proper way of thinking that is necessary for Yom Kippur! 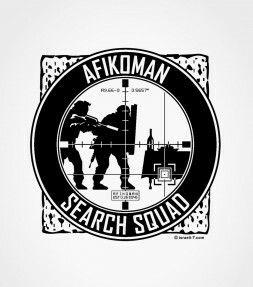 Dress for the holiday in style at this year's Passover Seder celebration and become the trendiest member of the "Afikoman Search Squad" with a colorful Jewish shirt that will be sure to attract lots of attention. 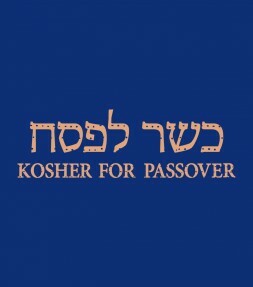 Get into the Passover holiday spirit with this cheerful design in both Hebrew and English letters! Start your Passover celebration as soon you as you put on this colorfully designed Pesach holiday shirt with a Star of David and happy holiday text written in both English and Hebrew! 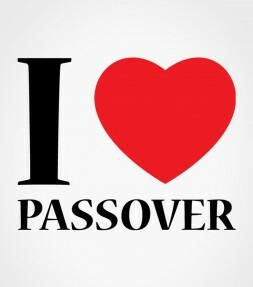 Show your love for Passover with a big red heart that will send your holiday wishes out to everyone that sees it! 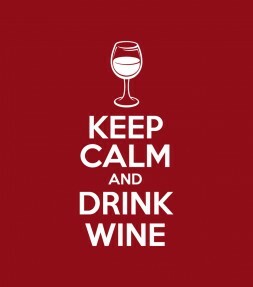 Get ready to drink lots of wine this Passover - at least 4 glasses for the holiday sedder! 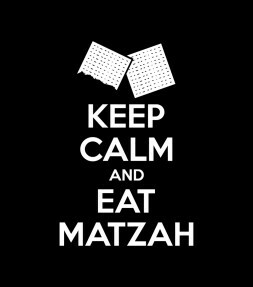 Get yourself ready to eat plenty of matzah this Passover - just remember to keep calm and enjoy the sedder in style why you are doing it! 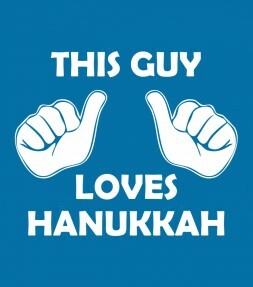 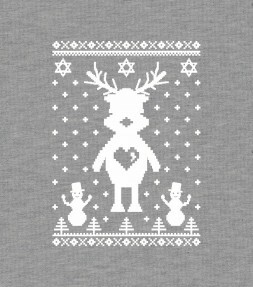 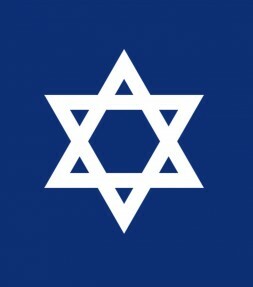 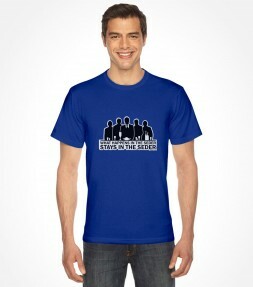 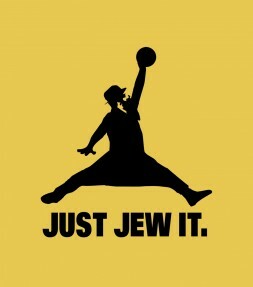 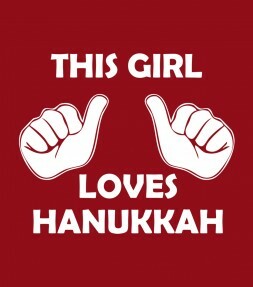 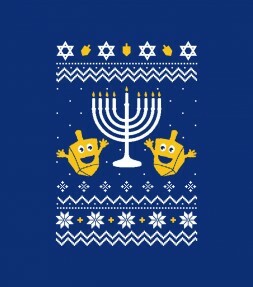 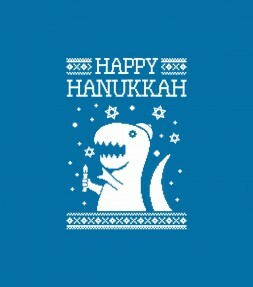 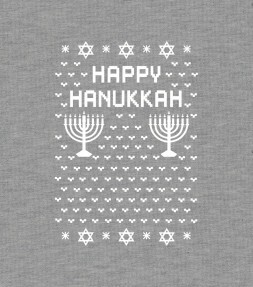 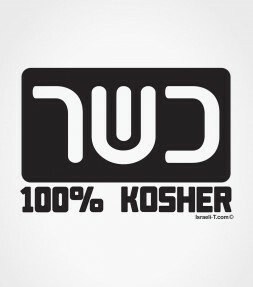 Show your sense of Jewish humor and ancestral pride with this funny Jewish shirt that says it all! 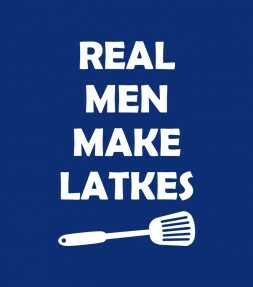 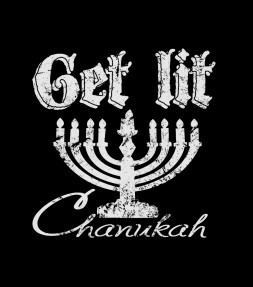 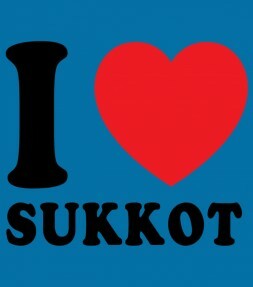 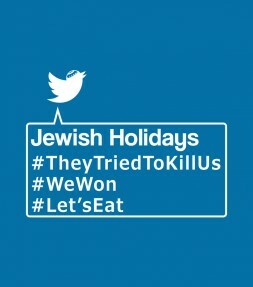 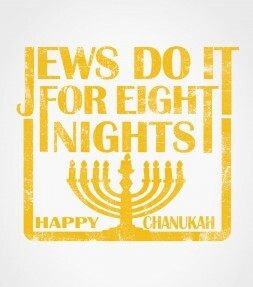 This jewish shirt is perfect for the Passover holiday and also a hilarious slogan to wear anytime throughout the year. 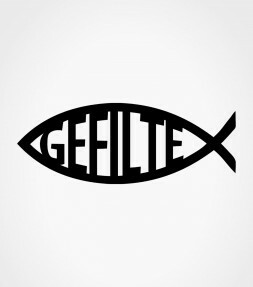 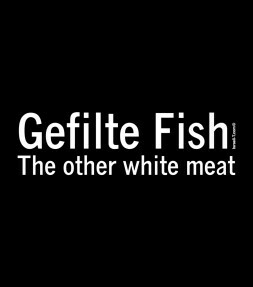 Show the world your Jewish sense of humor AND your preference for the “other” white meat – Gefilte Fish - with this funny Jewish shirt that is perfect for Passover as well as being hilarious to wear all year long! 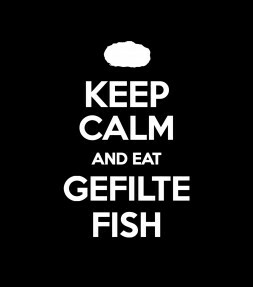 Once again a Jewish shirt about a Jewish cuisine that we aren't entirely sure how to define… well, we know it started out as a fish… Anyway, we made this nifty Gefilte Fish shirt to celebrate the final product. 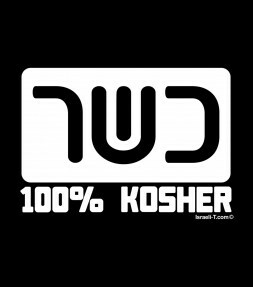 Using both English and Hebrew letters, this Hebrew shirt is an excellent way of expressing your Jewish status to others and also a way to remind yourself that you are a kosher part of the tribe of Israel every time you put it on! 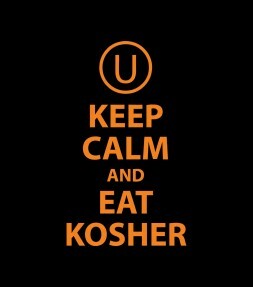 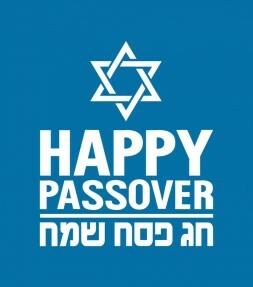 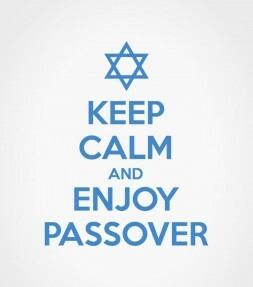 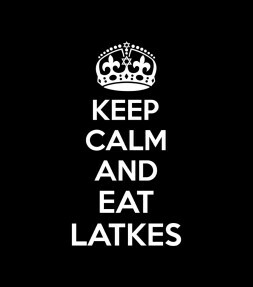 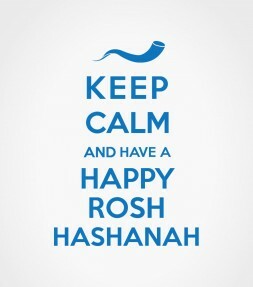 This funny Jewish shirt will get you into the Passover holiday spirit while reminding you (and all those around you) to keep calm - and enjoy Passover. 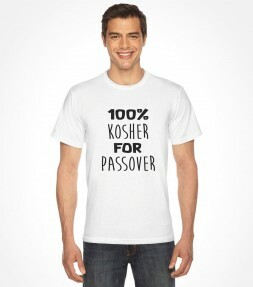 Wear this humorous T-shirt during Passover with the words "100% Kosher For Passover", to get a few laughs when the family comes together for the Seder. 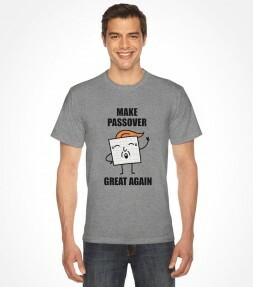 Funny Trump Matzah Passover Shirt with the words "Make Passover Great Again" Which is Sure to Make everyone at the Seder laugh. 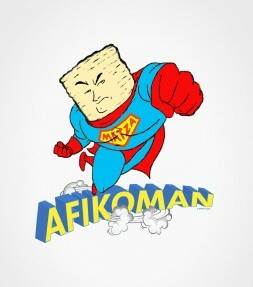 This Matzo Man shirt from Israeli T proudly displays a lovable character that may be the first Jewish super hero ever! 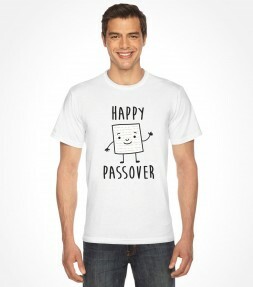 The adorable design is perfect for the Jewish Passover but it may be hard to stop wearing this Israeli T-shirt even when after the holiday is over.